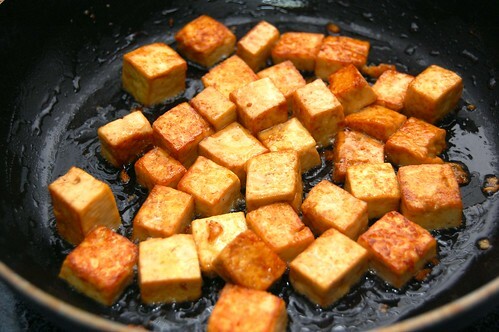 Hello, tofu friend. You remember that chocolate tofu pie I’ve made a few times? 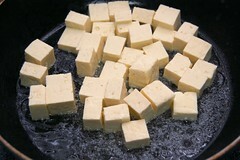 When i beat the tofu it never gets completely smooth – I can always see little clumps and grains and I don’t like it!! Any suggestions? You know, I actually bought some tofu for just that recipe this weekend. I’ll see how it turns out. 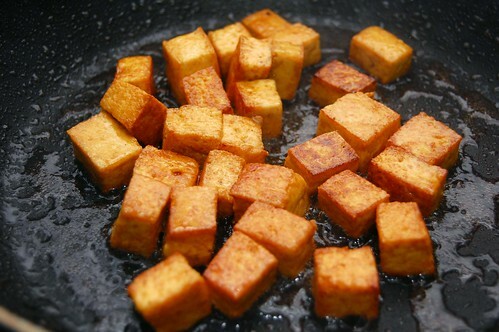 Mmmm I love tofu. 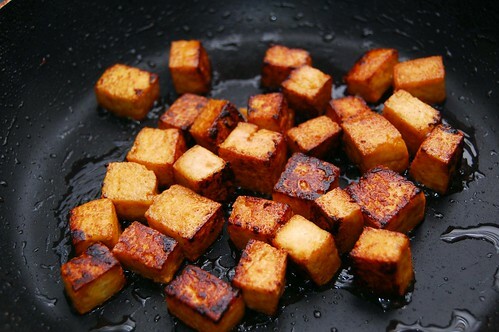 And it doesn’t surprise me at all that the watery tofu would take longer, because when you think about it, anytime you sear a protein they tell you to blot the top with a paper towel to get the excess moisture off in order to create that beautiful GBD (Golden, Brown and Delicious) exterior. 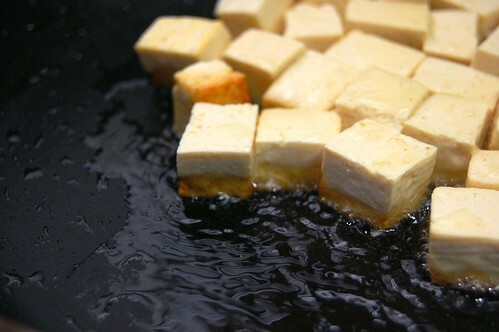 Tofu is a protein, so it makes sense that getting rid of some of the moisture would help with browning. I’ve also heard that adding hoisin sauce can help with browning, because of the sugar content. 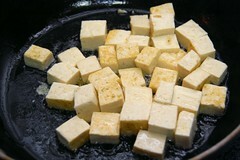 But of course, using that with your tofu depends on what you plan on doing with it (i.e. tossing it in with Pad Thai would work well). You could probably use one of those wire mesh splatter guards to help with the spitting. I use it whenever I make fried green tomatoes. Yummmmmmm. Thanks for the post! Love your stuff!